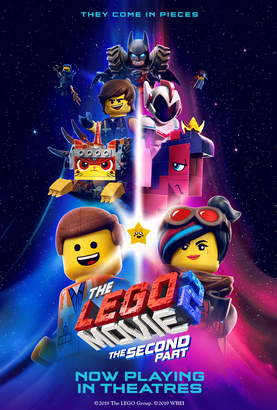 Listen to AM1470 and FM96.1 for your chance to WIN passes to see THE LEGO MOVIE 2: THE SECOND PART in theatres! 遊戲日期 Game Period: Feb 8 - 14, 2019. The film opens nationwide in 2D, 3D, and IMAX on Friday, February 8, 2019.